has been compared with the standard yard or the standard meter with as high a degree of accuracy as is possible in mechanical measurements. 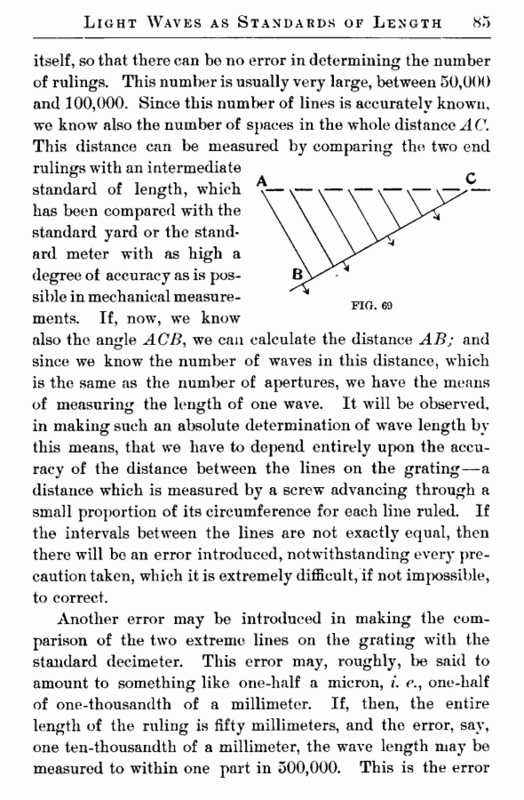 If, now, we know also the angle ACB, we can calculate the distance AB; and since we know the number of waves in this distance, which is the same as the number of apertures, we have the means of measuring the length of one wave. 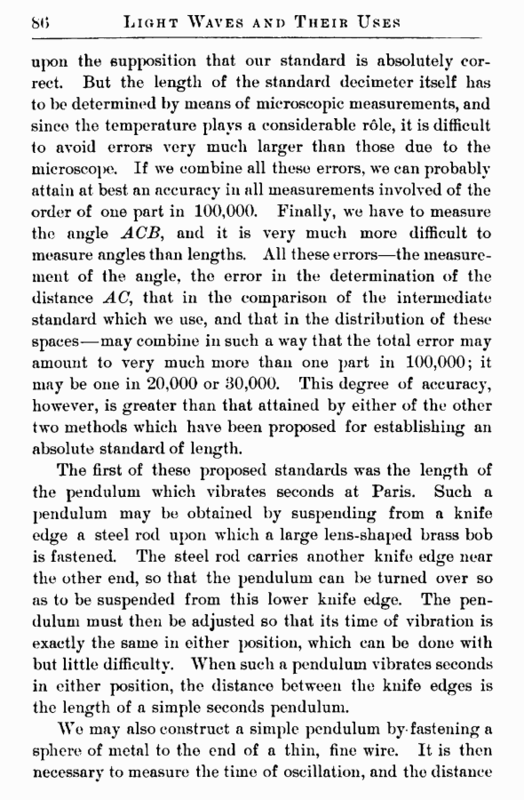 It will be observed, in making such an absolute determination of wave length by this means, that we have to depend entirely upon the accuracy of the distance between the lines on the grating—a distance which is measured by a screw advancing through a small proportion of its circumference for each line ruled. If the intervals between the lines are not exactly equal, then there will be an error introduced, notwithstanding every precaution taken, which it is extremely difficult, if not impossible, to correct.